CardMonkey's Paper Jungle: Tutorial: Using CTMH's "Studio J" to Express Print Your Digital Photographs! 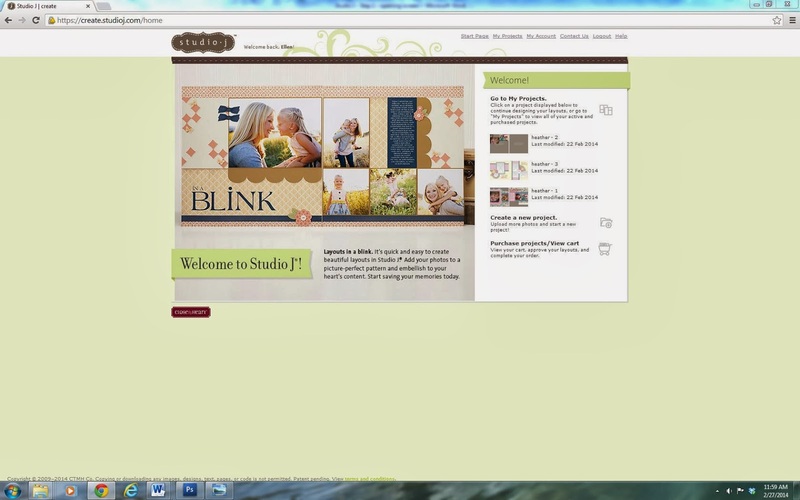 Tutorial: Using CTMH's "Studio J" to Express Print Your Digital Photographs! As many realize, digital scrapbooking is the next-great thing down the pike in preserving your memories. And Close To My Heart has been an industry leader in the field, with it's STUDIO J service. 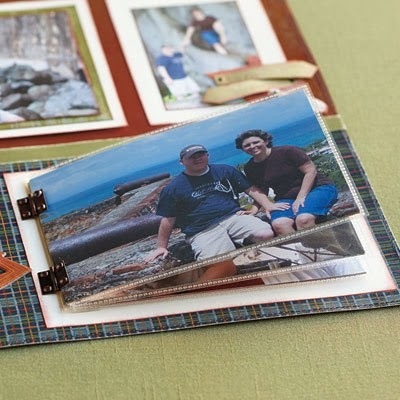 However, many of my friends and followers are still diehard traditional scrapbookers, who only want the ability to print their digital photographs to size for use in their albums and hand-embellished layouts. 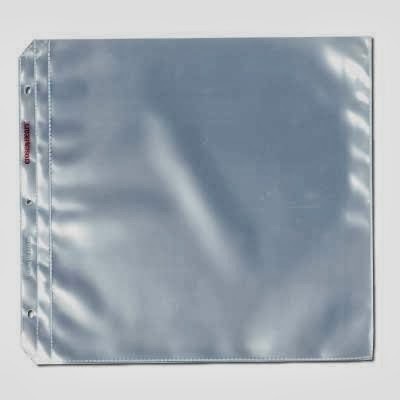 There are many services that provide standard-sized photographs (4x6", 5x7", 8x10"), but what if you want to print your photos in unusual sizes to fit your Picture My Life, Project Life, or brag albums? Consider using Studio J's new Express Print service, where you do a layout of abutting photographs, then print/cut those pictures that you have pre-sized to fit YOUR need! 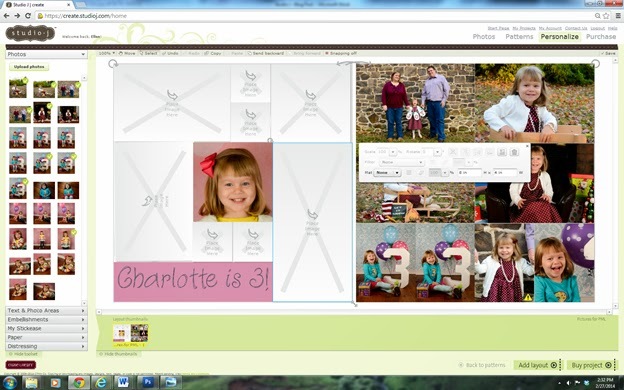 To do this, all you need is your digital pictures, a computer and internet access to use the Studio J software -- and this tutorial where I'll walk you through how to get the most out of your Express Print project. 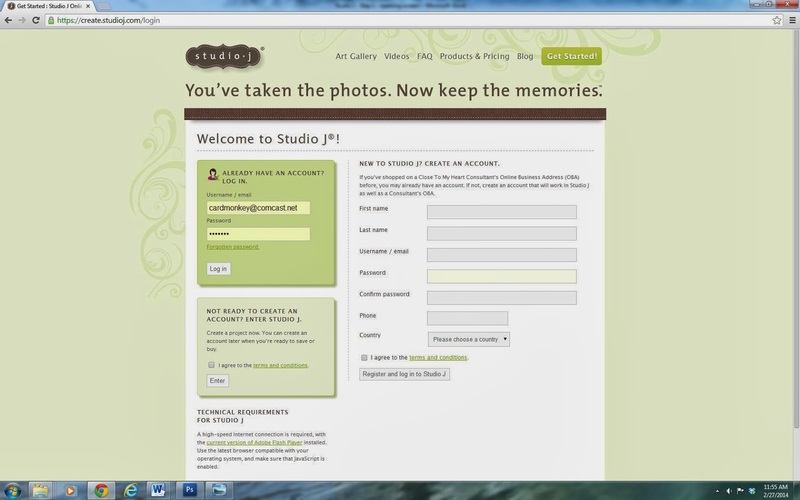 Step 1: Let the Fun Begin with Studio J! Step 2: Create an Account – It’s free and easy! 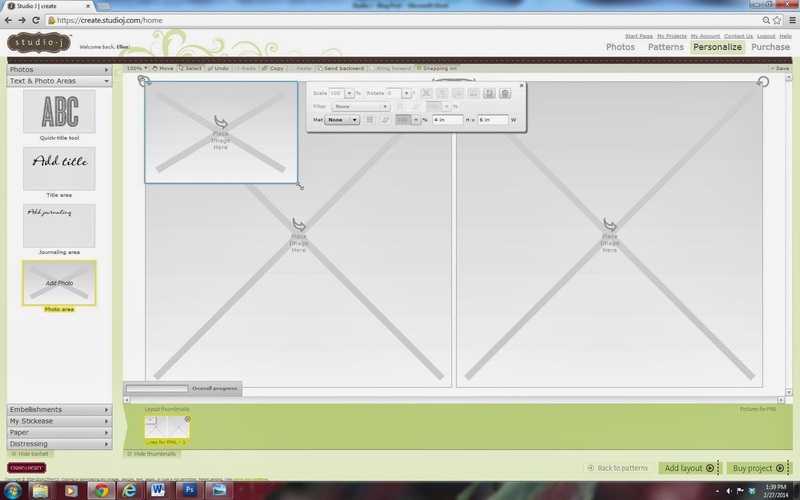 Step 4: Today, I want to show you how you can use your Studio J “layouts” as a printing service for your digital photographs by using what is called “Express Print”. 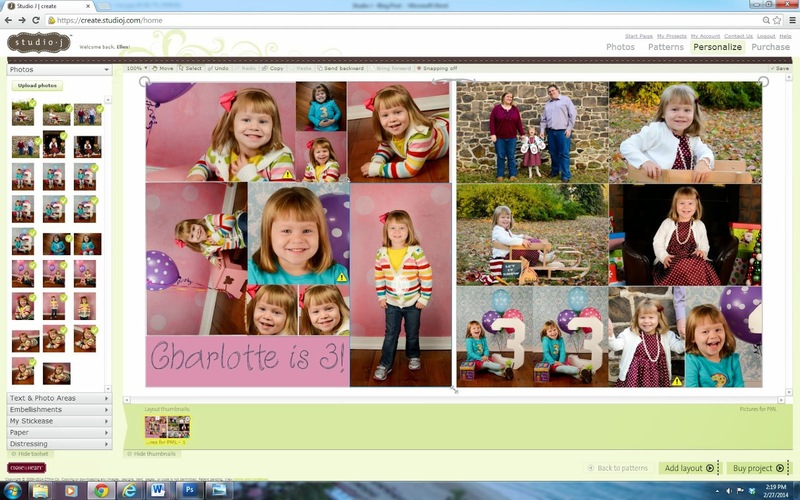 You can arrange the photographs in any size configuration that fits on two 12” x 12” digital pages and, during the month of March, have those photographs printed for just $5.00 for each two-page spread (Regular retail: $6.95). You’ll see that I’ve named my project: “Pictures for PML” – that’s Picture My Life™, Close To My Heart’s newest product for scrapbooking-on-the-go. 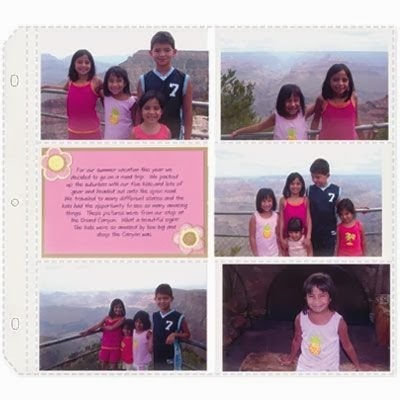 With the Picture My Life™ specially-designed layouts produced with sectioned page protectors, your photos can be full sheet (12” x 12”), or 4”x6” (horizontal or vertical) and/or 3”x4” (horizontal or vertical). 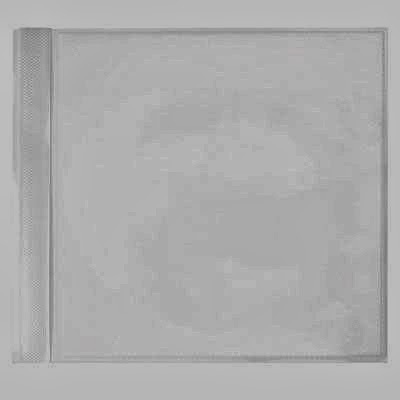 in side loading value packs of 25.
each 4”h x 6”w (horizontal photos). plus 4 sections that are 3”h x 4”w (horizontal photos). Holds 16 photos, using both sides. plus 4 sections that are 4”h x 3”w (vertical photos). Holds 16 photos, using both sides. plus 6 sections that are 3”h x 4”w (horizontal photos). 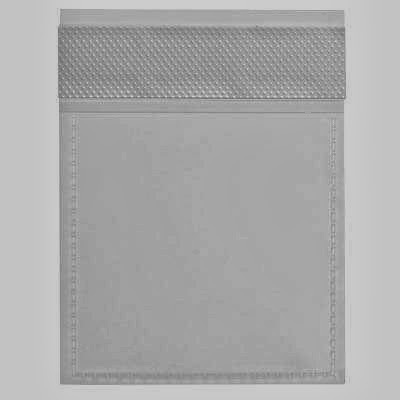 Holds 18 photos, using both sides. 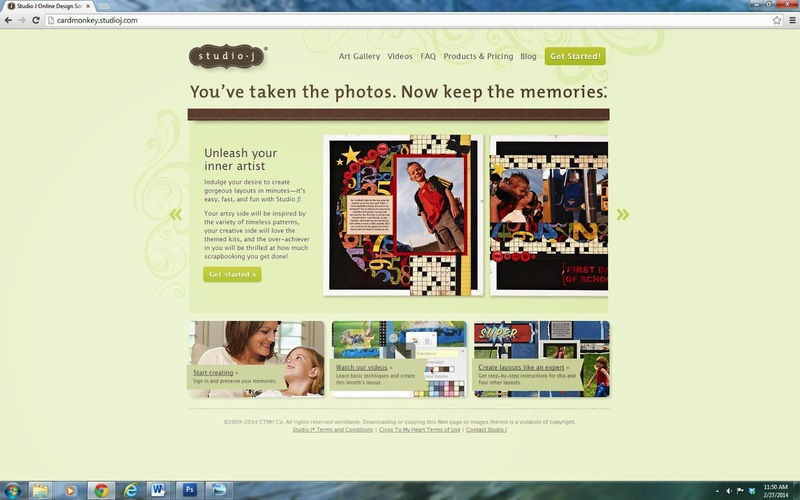 In addition, you can expand the possibilities of how your pages look and how many photos each page can accommodate, by using Close To My Heart’s unique Flip Flaps™. 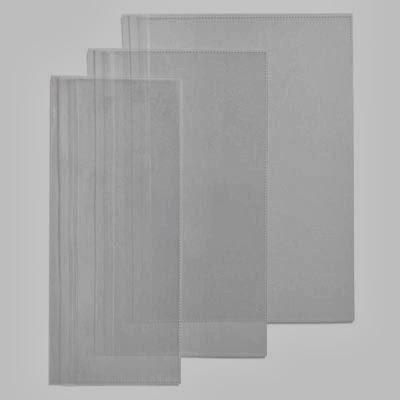 Flip Flaps™ are individual protectors with an adhesive strip, made in convenient sizes to attach over your page protectors to add more photos or journaling to conventional layouts. 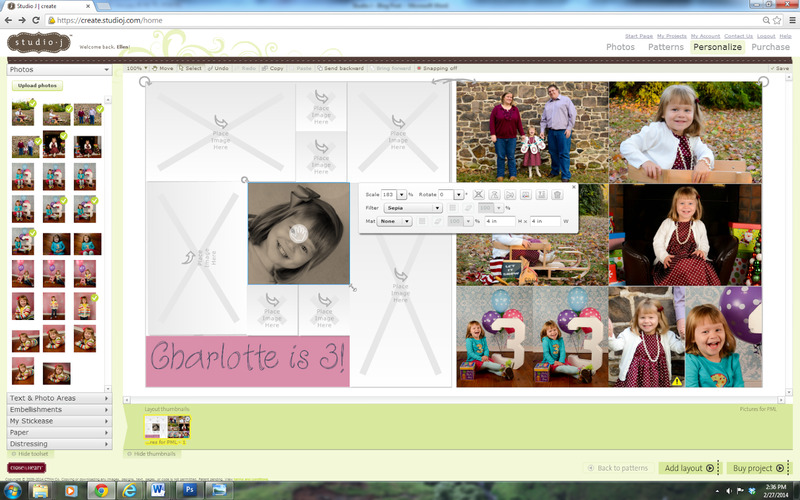 You can also use them with your Picture My Life™ albums in the same way! 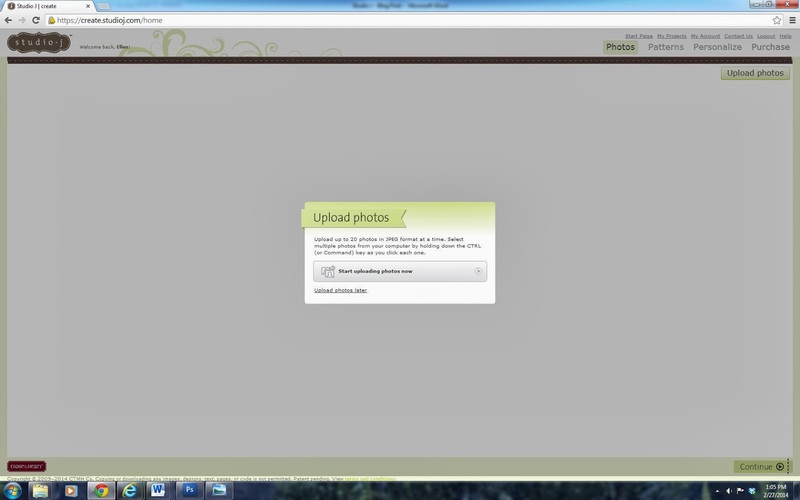 Step 5: Upload your pictures. 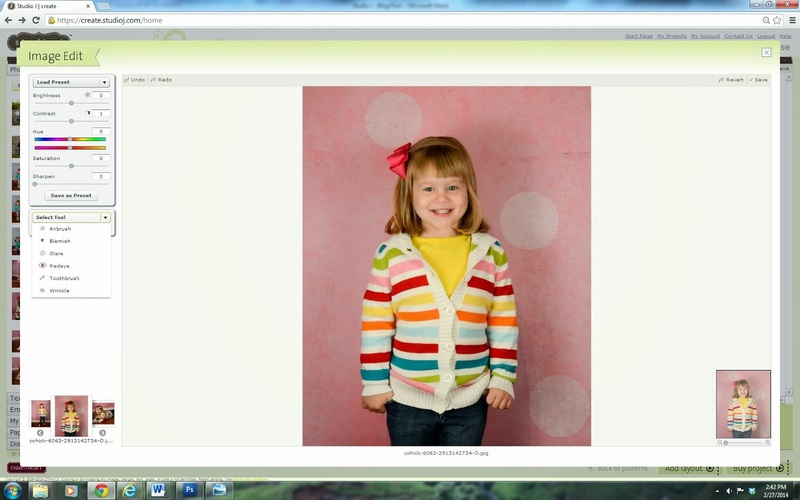 Step 6: I’ve uploaded pictures from my granddaughter Charlotte’s recent photo shoot with her Mom and Dad. I’ll want some for my albums, and some to give away. 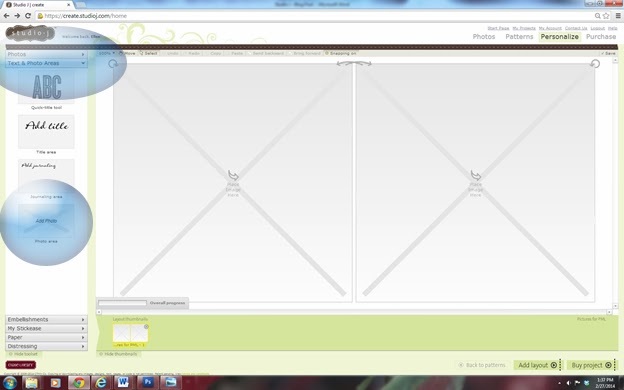 See the tab in the bottom right that says “CONTINUE”? Click that! 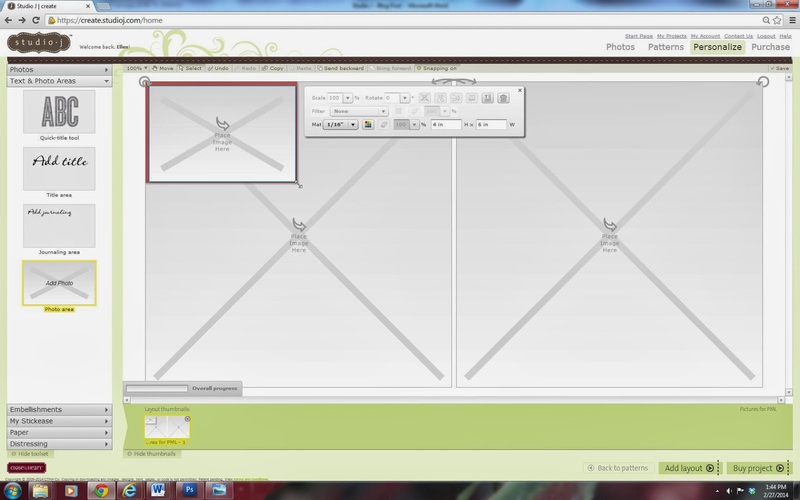 Step 7: To use the Express Print feature of Studio J™, you’re going to want to design your own Custom Layout. 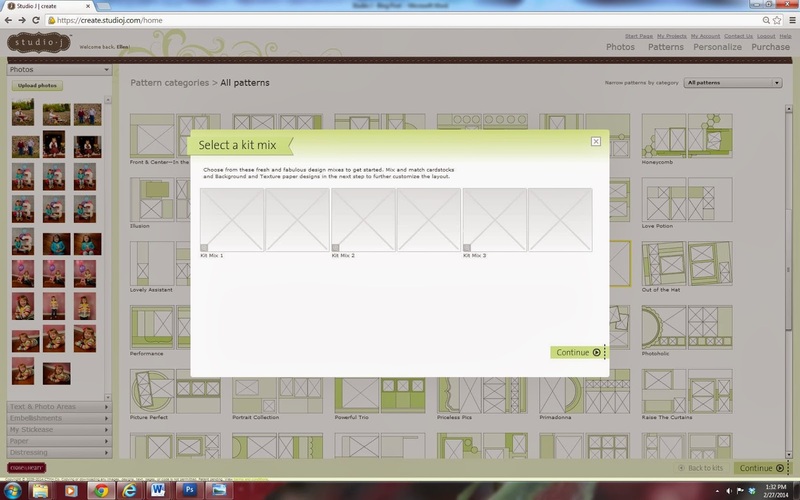 So click the bottom link, “Create Your Own Custom Layout” when the Select A Layout Type screen appears. 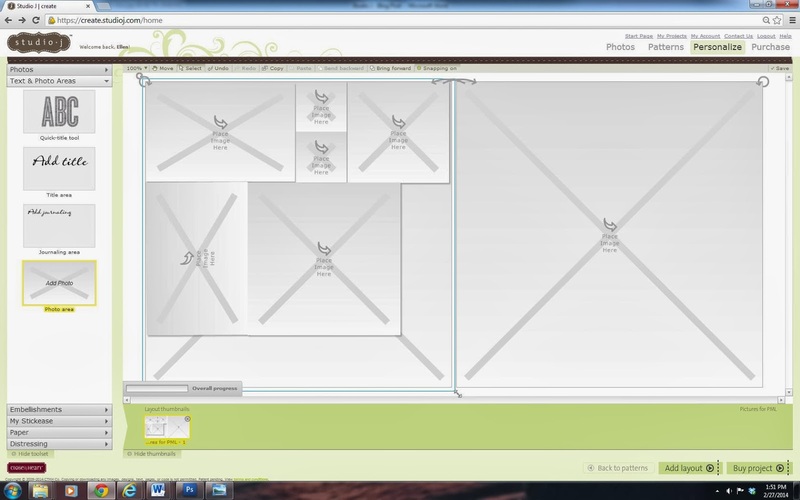 You’ll see that there is an operations box that opened up next to the space for the photograph that you’ve placed. Here, this is a horizontal 4x6” photo. You can change the size by simply changing the dimensions in that box (typing the numbers), or by grabbing the arrow to the lower right of the photo, and dragging it to whatever size you want. 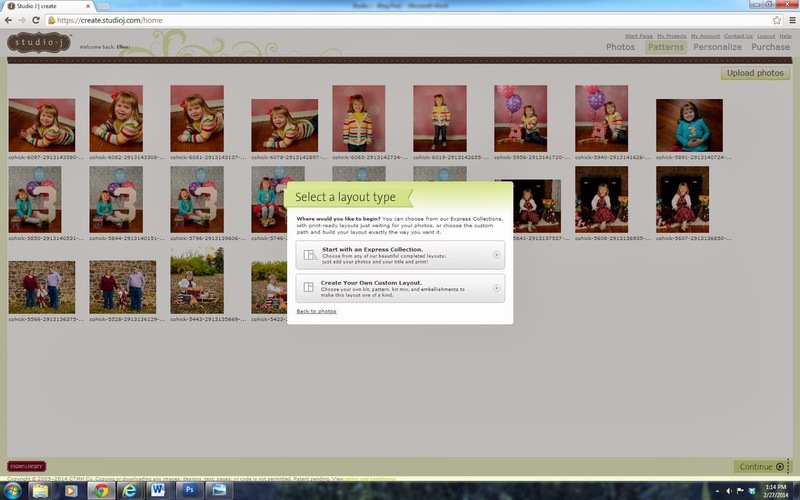 Your photos don’t need a mat if you plan to trim them for a layout or matting on paper, but if you want to add a mat to ensure your size, choose the drop down menu in the Operations Box and pick how wide you want your mat. Here is how it looks if you chose a 1/16” mat. Note that a color box pops up, so you can change the color of the mat to whatever you pick, including white if you just want a trim space. 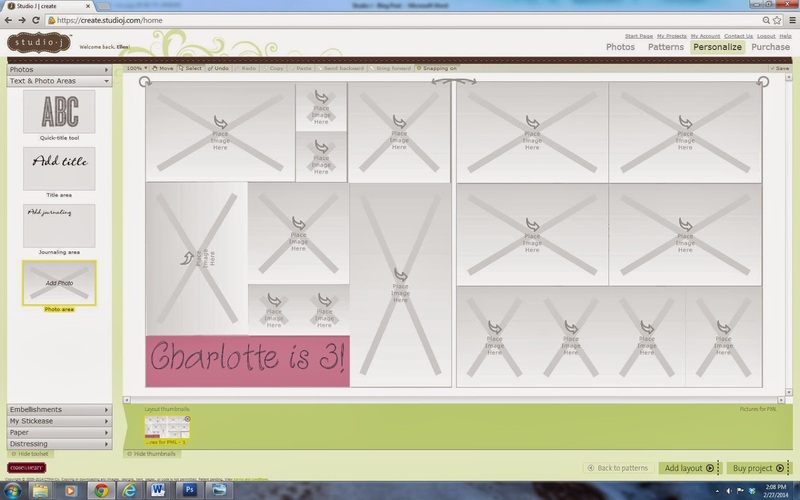 Continue filling your layout with photographs of your desired shapes/sizes, simply by grabbing another photo box from that left column and dragging it into position on your layout. 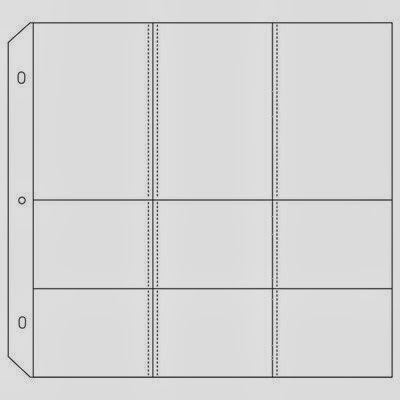 Resize them manually by grabbing the drag arrows, or be sure your sizes are a perfect fit for your Picture My Life™ spaces or your Flip Flap™ pockets by typing in your desired dimensions. 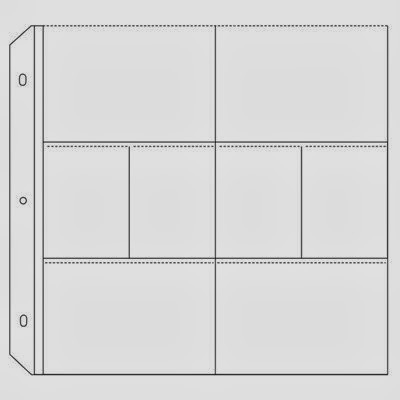 Remember, Picture My Life™ only uses 4 x 6” or 3 x 4” sizes (either horizontal or vertical), while there are wider varieties of sizes available in Flip Flaps. Another hint: When you’re dragging your photos into place on your layout and you want to snug up the pictures next to each other, remember that your arrow keys on your keyboard can be used to move the photographs too, one little space at a time. This makes it easy to ensure you’re using all of the printable surface, and maximizing your dollars when printing these pages. If you’d rather save some of the space for titles or Journaling boxes that will print along with your photographs, grab those boxes instead. 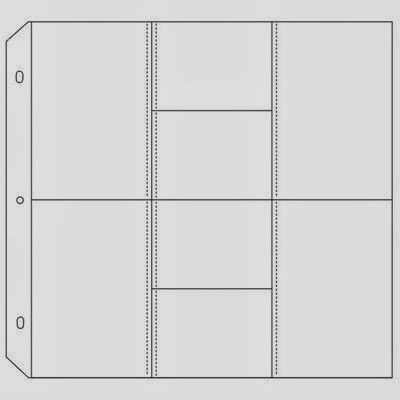 These are handy to print out to use on your traditional layouts, or made to size with your Picture My Life or Flip Flaps. OK, my layouts are done and now it’s time to drop the photographs in place. Step 12: Drop in your photographs. 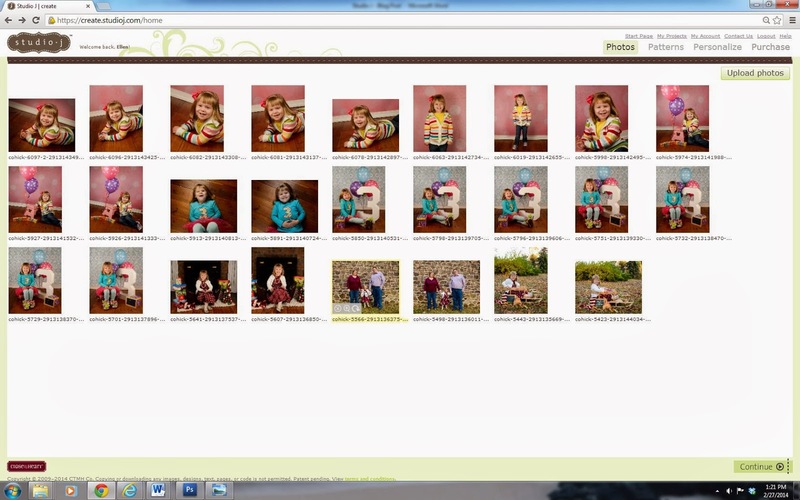 Move your computer’s cursor over to the photo you want, and left click and drag the photo into the space you want. You’ll see on the Operations Box that opens with the photograph that you can increase the scale of your photograph. When you increase the scale, the center focus of your photograph may now be out of the print area. Do you see that in the middle of the photograph there is a handprint? 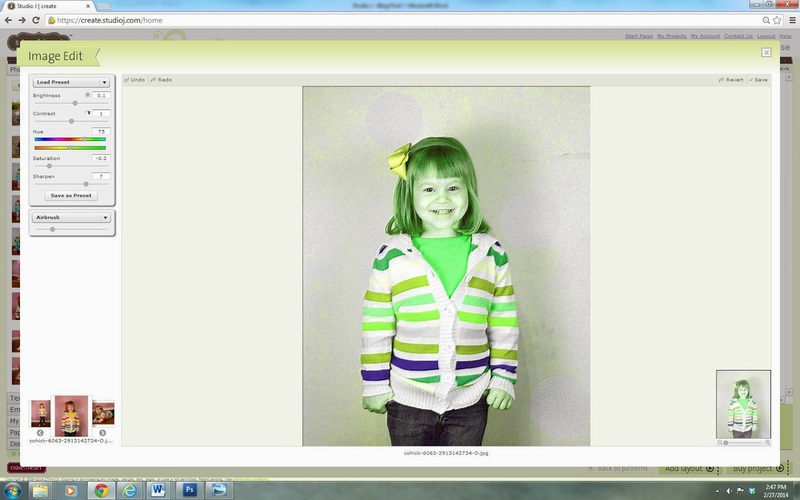 Move your cursor atop of that handprint and left click/hold to drag the portion of the photograph into the print space. 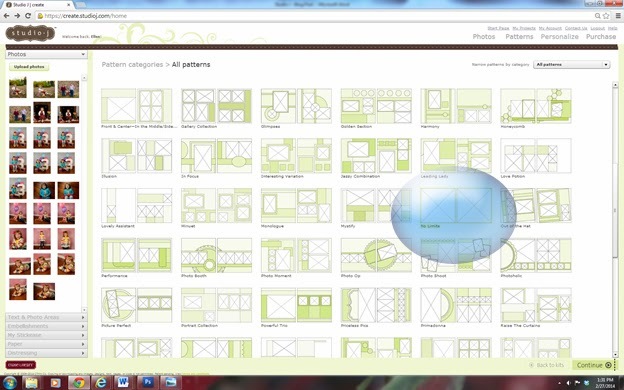 Not to worry, there are UNDO and REDO buttons in the upper left of the Image Edit screen! There you have it, I’m done, in twelve easy steps! 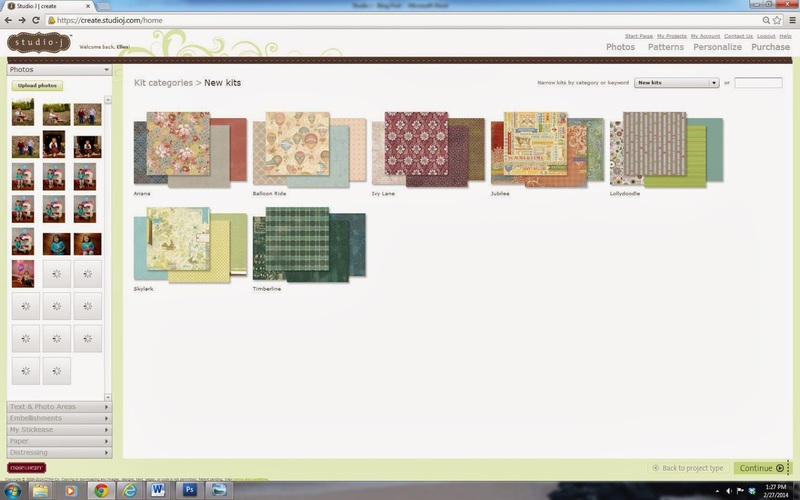 When you’re ready to purchase your layouts, click “PURCHASE” in the upper right hand corner, and your project menu will appear. 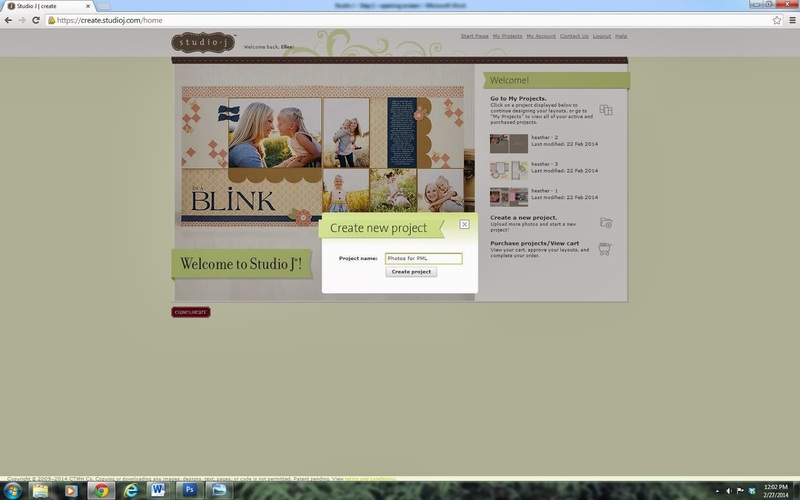 To the right of the project menu, you’ll find “Add to cart”. 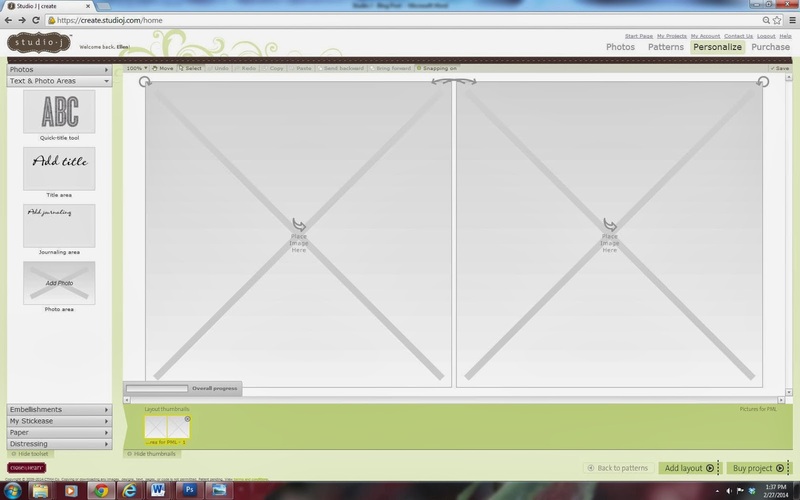 Each two-page layout is currently $6.95 but is on sale throughout March for just $5.00. And best yet – whether you buy four layouts (the minimum order) or fifty -- they ship for a flat $5.95! AWESOME tutorial!! Thanks for sharing! 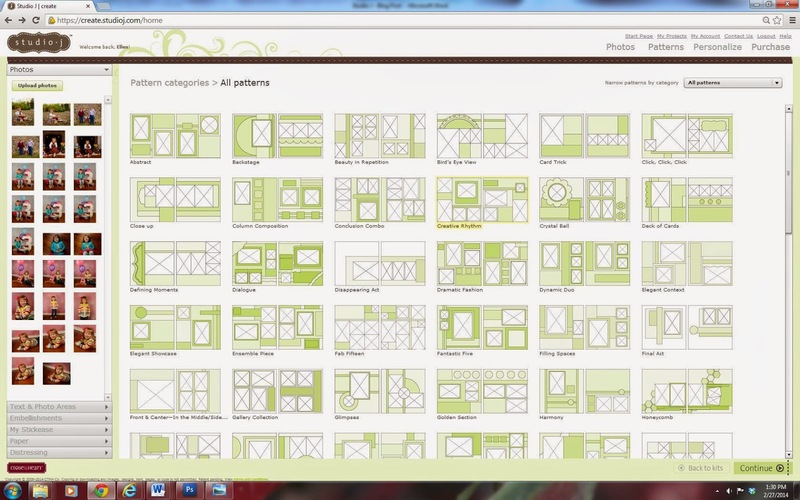 I have created about 25 double layouts and I still learned new tricks from your tutorial. Thanks for sharing!!! Thanks for the awesome tutorial Ellen!